Designing an attractive kitchen for small spaces is not a problem anymore when you know the trick of small kitchen arrangement under the terms of the space layout, storage organization, and kitchen decoration. 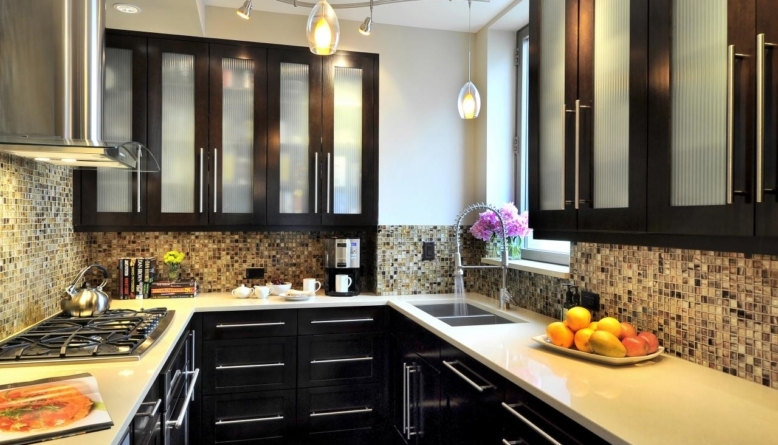 Two primary layouts that work well with kitchen for small spaces are a single wall and galley-style kitchen. 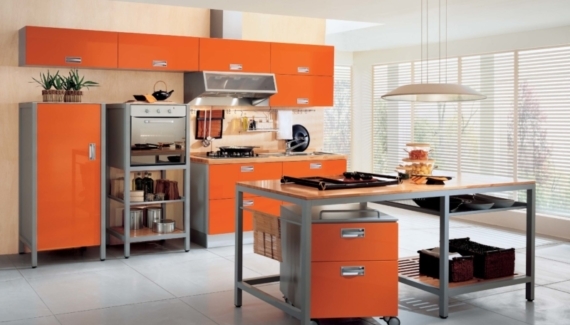 A single-wall kitchen which puts every fixing and furniture in one position will create a more organized arrangement. By placing the sink in the center, you can arrange the countertop and workstation on each side for a dynamic cooking flow. 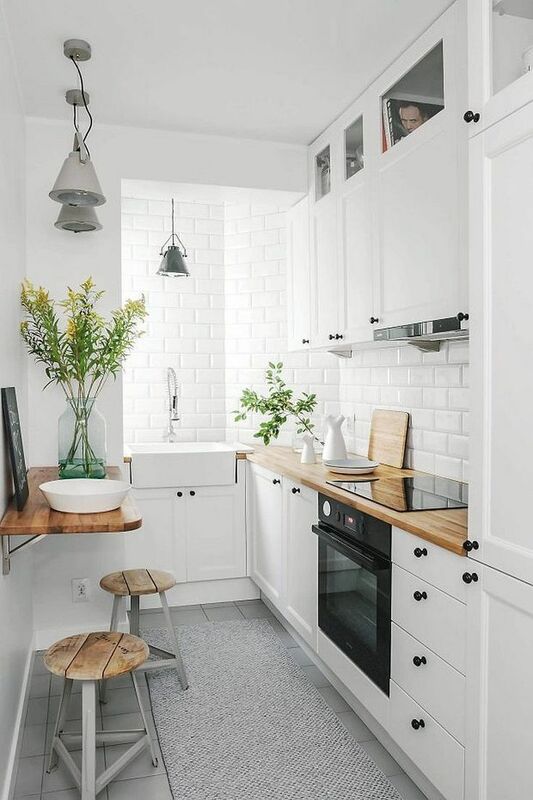 Another layout for small kitchen, a galley-style kitchen consisting of two joined walls, provides a compact plan that will make you easier when cooking. This design commonly places the sink and fridge on one side, while the countertop is placed on the other side of the wall. 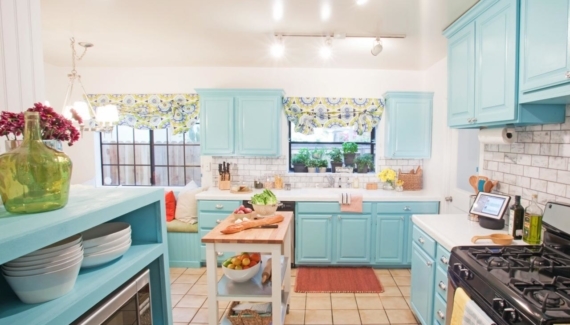 Organizing kitchen for small spaces needs careful consideration. Kitchen appliances and cutleries should be tucked in such a way so that they will not waste your small space. 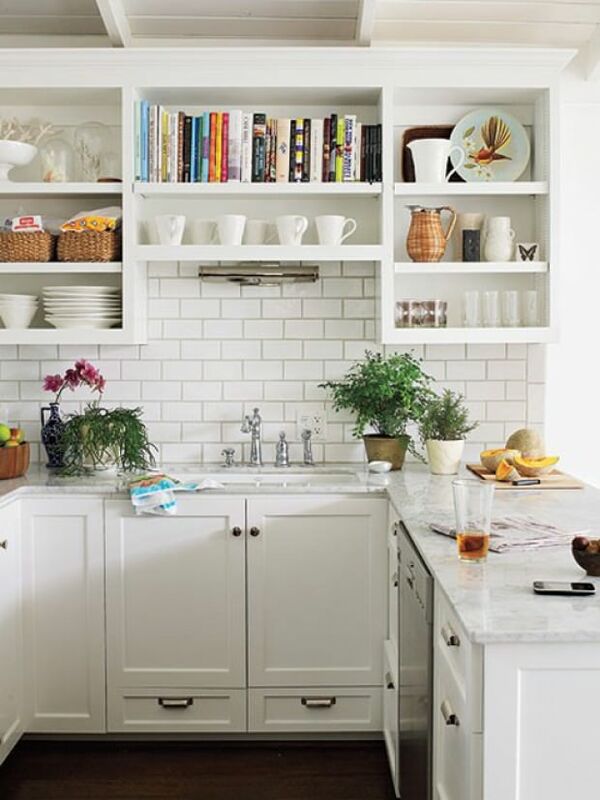 In this case, storage organization plays an important role in making a small kitchen look neat and tidy. You can rely on some storage solutions, including drawers and the back of cabinet doors. Smaller appliances can be tucked in the drawers. 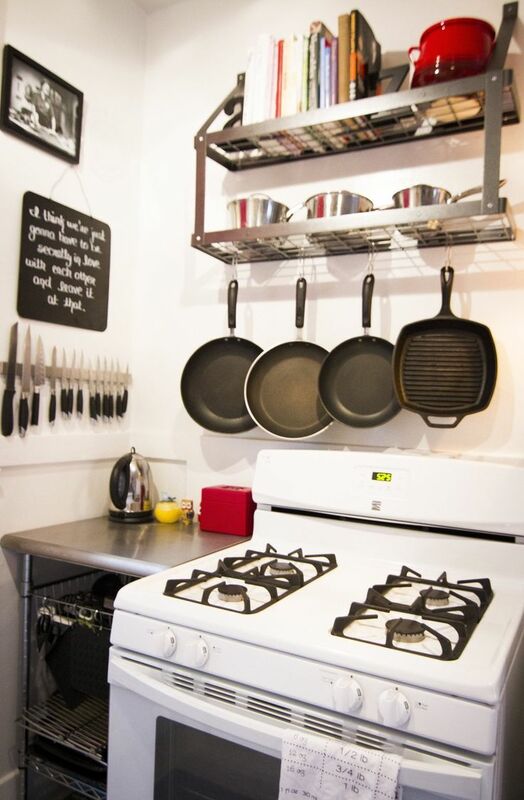 Meanwhile, you can use the back of your cabinet doors to hang cooking utensils like skewers, whisk, or graters. Windowsill and empty space underneath a kitchen island or dining area can also be used as extra storage places. The key to small kitchen decoration is keeping everything simple. 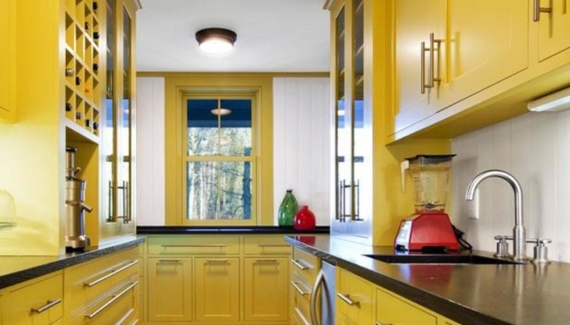 Starting from the wall, white or other light colors are considered the best option. 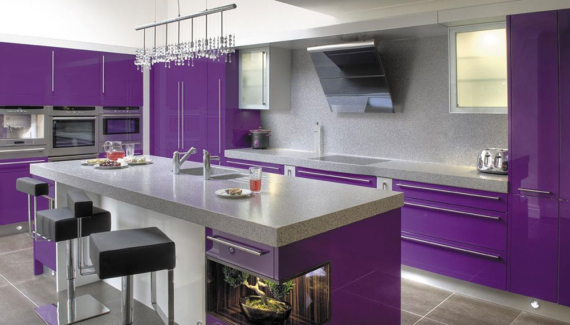 Such color choices are beneficial to give the impression of spaciousness to the kitchen area. Avoid any decorating items made of heavy materials, such as pendant lights on the ceiling or crystal vases placed on the countertop. Instead, go with calmer accessories like small recessed lightings or wooden adornments on the wall. When you are not using it, a vintage cutting board can also serve as a wall decoration.